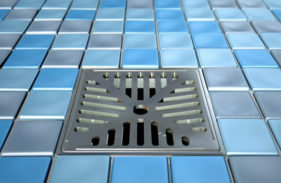 Use the coupon code to schedule your $99 drain cleaning service. Click to redeem! Same Day Plumbing and Drain Cleaning Service! For more than 40 years, Mike Diamond Plumbing has been the number one plumber in Los Angeles, Orange County and Southern California neighborhoods. We are dedicated to providing professional and courteous plumbing services that include drain cleaning, water heater repair, pipe replacement, garbage disposal repair and more. With over 100 qualified plumbers and service technicians serving Los Angeles and Orange County neighborhoods, you can count on the experts at Mike Diamond to be readily available to fix your next clogged drain. Our 100% Satisfaction Guarantee means that if you are not completely satisfied with our drain cleaning service, we will do the job again to your satisfaction for FREE. Remember to ask about our $99 drain cleaning special! Tired of cold showers and rusty colored water? What’s that popping noise and why does it smell like rotten eggs? 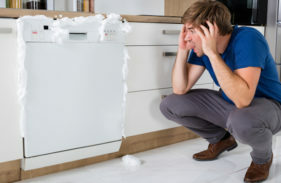 These are all signs you might need a hot water heater repair or replacement. Our team of plumbers have experience repairing and replacing all kinds of gas, electric and tankless water heaters. We will come diagnose and repair your water heater problem and get your hot water running again in no time. Mike Diamond, The Smell Good Plumber™ is your full-service home provider in California. Our call center is staffed with real people (not robots!) 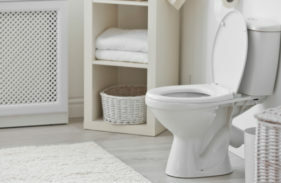 available to take your call 24-hours-a-day, 7-days-a-week for plumbing emergencies that just can’t wait. Not only do we have the best plumbers in CA, we also have electrical contractors on standby 24-7 and HVAC technicians that are fully trained and certified to repair and replace all types of heating and air conditioning units. We know plumbing emergencies can strike when you least expect. That’s why our local California plumbers are always on standby, ready to be at your doorstep with our fully-stocked, eco-friendly trucks. From leaky pipes, drain cleaning and water heater service to seasonal HVAC maintenance, you can trust the experts at Mike Diamond Services for all your home service needs! Mike Diamond Services is the famous Smell Good Plumber™ in the greater Los Angeles - Orange County Area. 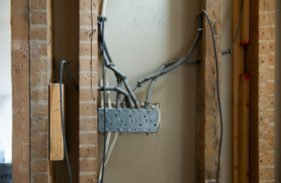 Our plumbers are dedicated to staying on the cutting edge of the plumbing profession. Not only do they smell great, they’re certified and insured in the fields of plumbing, drain cleaning, HVAC and electrical work, which means superior service for you! 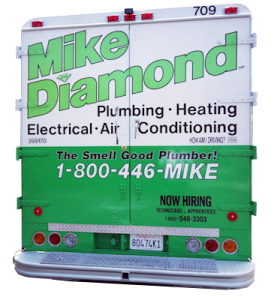 Learn more about what sets Mike Diamond Services apart from the rest, our customer promise and what makes the Smell Good Plumber™ trucks so great! From phone call to time a technician arrived was less than an hour and a half. The technician was polite and took care of my plumbing problem efficiently and quickly. He clearly explained the problem and options. From start to finish everyone at Mike Diamond Plumbing are polite friendly professional. I highly recommend them and will use them for all my plumbing needs.